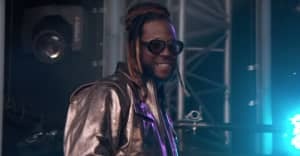 According to a new interview with Forbes, 2 Chainz made a killing on his famous dabbing sweaters, and he gave a large portion of the profits to charity. "I've had a foundation for some time," the rapper explained. "My girl and I, we’ve been trying to figure out a way to be active within the community. This was a great way to do it. We made close to $2 million in revenue. I had a numerous amount of celebrities helping with the shirt. It was on the NFL, it was on TNT, it was on Good Morning America, it’s on ESPN . So I could not continue receiving those blessings without giving back at the end of the day." "It's about putting it together independently, with nobody really being the boss," 2 Chainz continued. "We’re creating our own way to give back, to do something for people... actions speak louder than words." Fans of the dabbing sweater should be excited for new year: "I also want to let people know that this is just the beginning of 2 Chainz," the MC declared. "In 2016, we’ll have a clothing line."